The MKA 1919 is now available at H&H Shooting Sports Complex. The MKA 1919, created by Akdal Arms, is a gas operated semi-automatic shotgun that is intended for use by civilian and security markets. The 1919 is unlike most other 12 gauge shotguns, it is extremely light and ergonomically designed using modern, high strength composites. Akdal MKA 1919 semi-automatic shotgun uses a conventional gas-operated action which is located around the support tube that runs below the barrel. The return spring is also located around the same support tube which is concealed by an enlarged polymer handguard. The MKA 1919 barrel can be quickly removed from upper receiver. To charge the shotgun, the charging handle on the receiver needs to be pulled. The upper receiver is manufactured from an aluminum alloy while the lower receiver, along with pistol grip and shoulder stock, is manufactured as one piece from impact-resistant polymer. Akdal MKA 1919 semi-automatic shotgun has a 5 round detachable box magazine. The magazine catch is identical to the M16magazine catch and is located on the lower receiver. 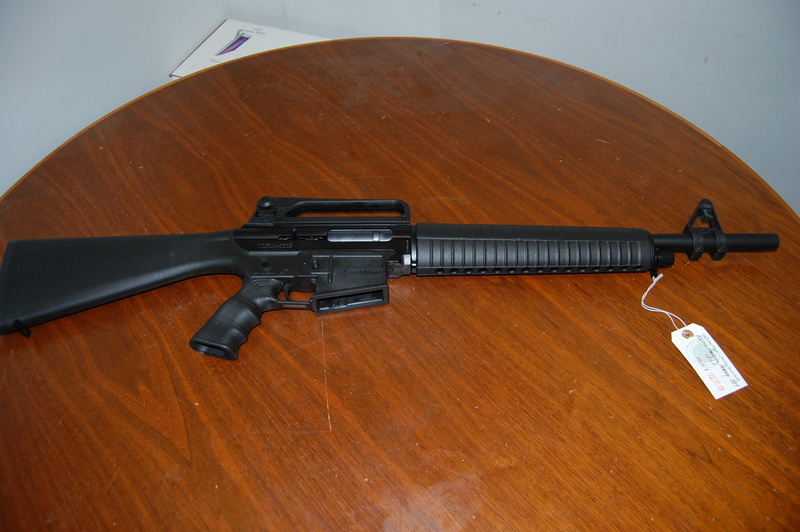 Manual safety also duplicates M16-style being located on the left side of the receiver above the pistol grip. Standard sights include a front post installed on the M16-style removable base and a detachable M16A2-style carrying handle with built-in diopter sight. On the upper receiver, an integral Picatinny rail can be placed which will accept detachable carrying handle or optional red-dot or other optical sight attachments.